July was a tough month for superhero graphic novels according to the top 20 Adult Graphic Novels for the month of July, based on NPD BookScan data for July (7/1/2018 – 7/29/18) provided to ICv2. Only three of the top 20 graphic novels were superhero titles: Infinity Gauntlet in the number nine spot, Dark Nights: Metal: Deluxe Edition at number 12, and Dark Nights: Metal: Dark Knights Rising at number 15. Of course one could argue (and I have) that a number of the manga that dominate the chart are actually superhero stories. One-Punch Man is an action filled superhero spoof, and My Hero Academia is set at a superhero training school. Both are mostly based on the tradition of American superhero comics but deviate from it in important ways. 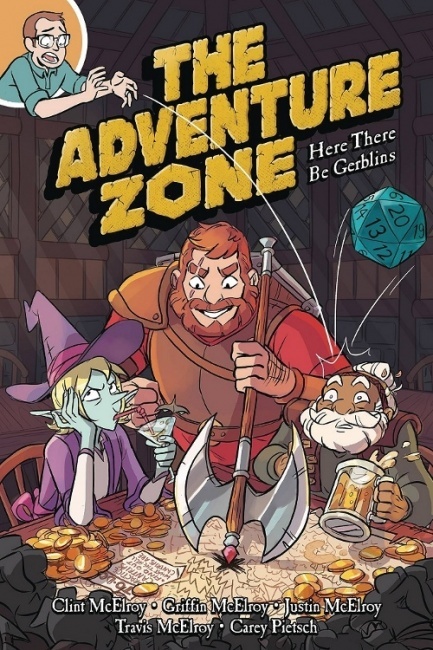 Be that as it may, this month belongs to the first volume of The Adventure Zone, which is neither manga nor a superhero comic. It's an original graphic novel based on a podcast in which a father and three sons play Dungeons & Dragons. Toto, I don't think we're in Kansas anymore. It's totally legit though. 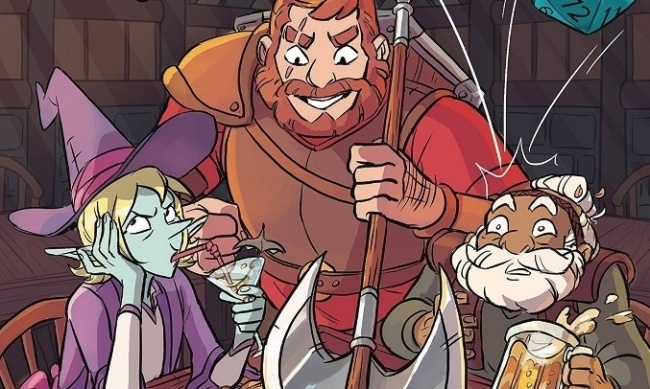 The first story arc of The Adventure Zone was 69 episodes long, and the podcast has an avid following. In fact, sticking with the story for 69 episodes is pretty much the definition of "true believer." Maybe it's quicker to read the graphic novel; that would explain why this book charted at #1 and #4 (the Barnes & Noble exclusive edition). You can see this same tenacity with manga readers, who come back to their favorite series month after month, picking up the latest volume, or catching up with older ones.